As fall blitz fishing begins to fade, there’s still time for few more quick trips. 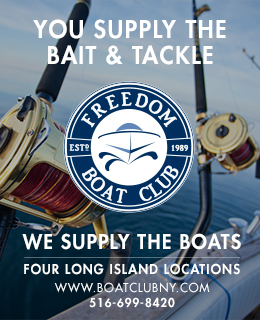 Bass, blues, blackfish and sea bass remain the prime targets at ports around Long Island. By now, most serious anglers have a freezer full of fillets allowing for more time to relax, have fun and return a few for the future. 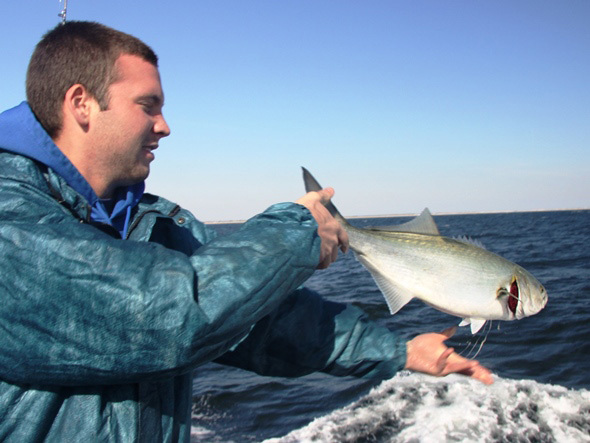 Here, Ryan Schlichter releases a bluefish caught aboard the Captree open boat Fishfinder II. Coming Soon! For a current fishing and outdoors forecast, see Outdoor Tom Extras.